In today’s world, the internet has pretty much taken over. With everyone having access to a cell phone and the internet in our society, the chances for cyber bullying, online predators, and scams are so much higher. I have seen kids as young as 6 years old have cell phones or tablets with internet access! There are only so many ways that a parent can monitor this. 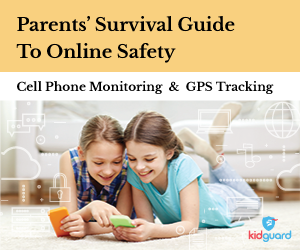 Thankfully, KidGuard has programs that allow you to monitor your child’s activity, and locate their phone through GPS as well, doing their part in keeping kids safe online. *This post was done in partnership with KidGuard. Have you seen those videos where this guy pretends to be a young teenage boy online, and he sets up meetings with these young girls who agree to meet them in person? The girls only get there to find out that one, they could’ve been kidnapped so easily, and two, their parents are in on it. This is literally my worst fear. Now, KidGuard isn’t saying that “we should spy on our children all of the time”. 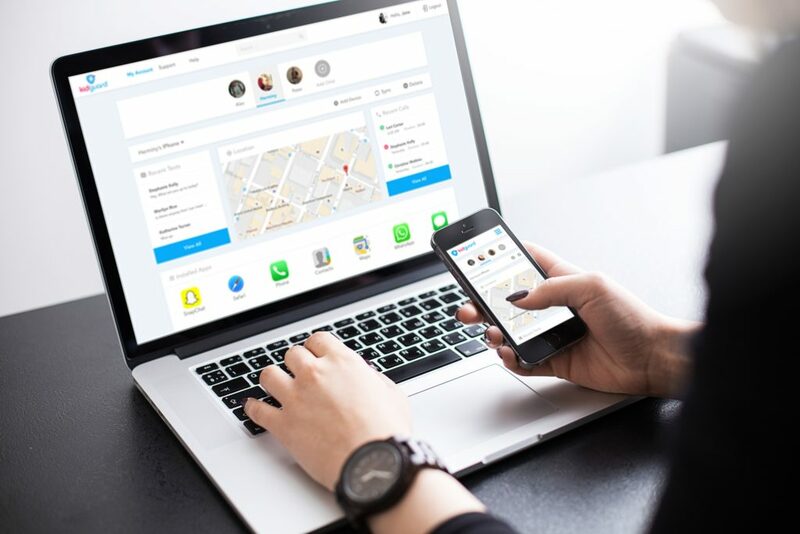 But, having something in place to monitor their online activity, texts, and even location could save the lives of our children one day, depending on who they interact with on the internet. KidGuard is a technology services company that provides information & tools for parents to keep their kids safe online. Here is a great Parent’s Survival Guide to online safety. This guide helps parents understand things like cyberbullying, how it’s occurring, what are some signs to look for in your child, and steps to prevent (as well as steps to stop) cyberbullying when you find out it is taking place. This guide also discusses various ways that a predator may try to get the attention of your child, and how they go about actually preying on children via the internet. It lays out a ton of apps that your child might be using (Instagram, Snapchat, etc…) that are extremely popular for kids, but also huge hubs for predators, cyberbullying, and more of the nasty things that happen online. One of their big “don’t” items is posting pictures of your children online. Now, as a blogger and influencer on social media, I post pictures of my children often. However, I am very aware of the types of pictures that I post and how I post them. Check out the guide for more tips on keeping kids safe online! What are some of the ways that you protect your children from all of the bad that is on the internet?